Sitting on the waterfront near Albert Dock, this gargantuan museum tells the history of the Liverpool in a way that only Liverpool can. It contains more than 6,000 objects and has spaces dedicated to the accomplishments of the people, the incredible musical legacy it’s created, and it’s rather impressive footballing achievements. It’s also a really impressive building where I’ve spent many a happy hour wandering aimlessly, listening to the locals chatting. Made famous by The Beatles song on the same name, Penny Lane is situated, well…in Penny Lane. Who knew? The street was the bus terminus that Paul McCartney changes at when visiting John Lennon (and vice versa), so it was an area that both songwriters knew well. Many of the sights mentioned in the song remain today, including the fire station at nearby Mather Avenue, and the white Barber’s Shop, which is now Tony Slavin’s store. Throughout the years, Liverpool Council has had to spend a small fortune replacing street signs for Penny Lane, which are frequently stolen by fans. If you’re on the lookout for more Beatles stuff, then the city is full of it. Other sights in include childhood homes, The Beatles Story in the dock area, and the famous Cavern Club in the city centre. Abbey Road isn’t in Liverpool, though, so probably best not to try searching for that one. The zebra crossing made famous by the band on the cover of the album is in North West London. No, that’s not a typo. Liverpool is the home of the original (and possibly the only) SuperLambBanana on the planet. Japanese artist, Taro Chiezo, designed the symbol for the city and now lives in New York, presumably with all his SuperLambBanana money. The original SLB is located in Tithebarn Street, but there are more in place in the plaza outside the Liverpool Museum. The original is basically what you expect it will be: a giant yellow banana with a face like a lamb. The guys in the plaza are far more colourful and equally smile-inducing. You can also buy your very own SLB (not to scale, obviously, because you’re not getting that home in the back of your Renault Clio, are you?) if you pop into the tourist office. They are superb, but it does take a bit of explaining to people how haven’t seen one before. You can’t fail to be impressed by Albert Dock’s transformation over the years. It’s a fantastic place to eat, drink and generally be merry. The sights and sounds of the waterfront are wonderful and the Dock is the largest collection of Grade 1 listed building in the UK. Here, you’ll find The Tate, The Maritime and the Slavery Museums, as well as The Beatles Story. A short walk from the dockside is the famous Liver Building. This is one of the most iconic and most photographed in the city. On top of the spire of the tower sits a liver bird, which is the symbol of the city (you thought it was the SuperLambBanana, didn’t you?) Albert Dock is just one of Liverpool’s 6 UNESCO World Heritage Sites. Why have one cathedral when you can have two, right? The two cathedrals are a little more than half a mile apart. The Met can be identified by its unique design, which was one of 300 submitted from around the world when architects were invited to detail their vision for the new cathedral in 1960. The building that stands today was the fourth attempt to complete a design and build on the site. A short distance away is Liverpool’s other cathedral, which is called, well…Liverpool Cathedral. What were the chances? LC is the UK’s largest cathedral and is home to Britain’s largest organ and the world’s heaviest bells. All in one place, people! You can access the third-floor gallery for fantastic views of the building’s interior. In addition to the normal cathedral-y (that’s definitely a word…) things, here lies an eternal flame to commemorate the victims of the Hillsborough disaster, a statue of the kneeling Madonna, and a quite enormous stained glass window. Situated in the William Brown Street Conservation Area, this location in the city has more galleries and public buildings than any other street in the UK. Walker Art Gallery is one of the largest in England and features works from artists, such as Rembrandt and Degas, to 20th Century masters, Hockney and Freud. The first three floors of the gallery are free to enter. Generally, the only fee payable is for special temporary exhibitions. The Tate is England’s largest gallery (outside London) and sits on the waterfront at Albert Dock. It houses a magnificent collection of contemporary art. In addition, it holds the national collection of British art from 1500 to the present day, with more than 70,000 pieces. OK, so this is *technically* free as there’s no admission charge. However, you should probably buy a coffee to save the staff wondering what the hell you’re doing there. It is a fantastically quirky place to relax after a hard day’s sightseeing and a must for all Friends fans. The large flat screen TV runs constant episodes of the legendary comedy show. Unfortunately, unlike in the programme, this Central Perk is way too popular to allow you to grab the same seats every time you visit… The coffee is excellent, though. 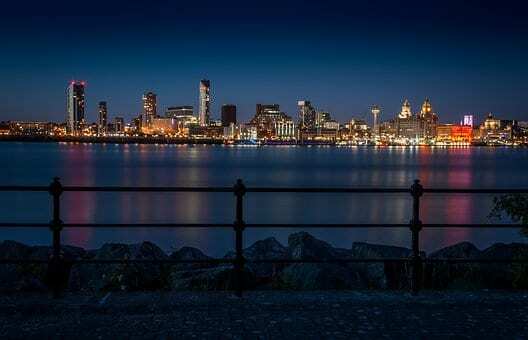 What are your favourite free attractions in Liverpool?